Real estate professionals today face complexities associated with municipal approvals, design , construction, and finance that simply didn't exist 20 years ago. In order to deal with these complexities, real estate and finance professionals need a deeper understanding of the theory and practice of all aspects of real estate and can best acquire that understanding in a concentrated and focused forum designed specifically to meet their needs. 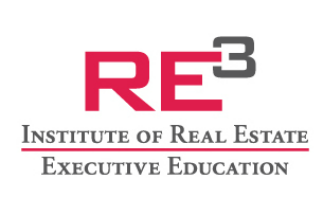 The RE3 Seminar Series provides many of the same technical and analytical skills as those taught in leading graduate real estate programs around the country but does so in a more focused and cost effective manner. The RE3 Institute Seminar Series is comprised of 3 seminars designed to give participants an in depth, multidisciplinary overview of real estate development including land acquisition, market analysis, financing, construction, development, leasing and operations. The Seminar Series provides a Certificate of Completion from the George Mason University School of Business. US News and World Report ranks GMU's School of Business in the Top 15% of all AACSB accredited schools. The RE3 Institute also designs custom programs for corporations, businesses, and political jurisdictions that need specialized education or skills development for their professional staff. For more information on custom curriculum development for your organization or university, please contact 703-728-9682 or info@re3institute.org.